Excerpts from the article about two of our students. 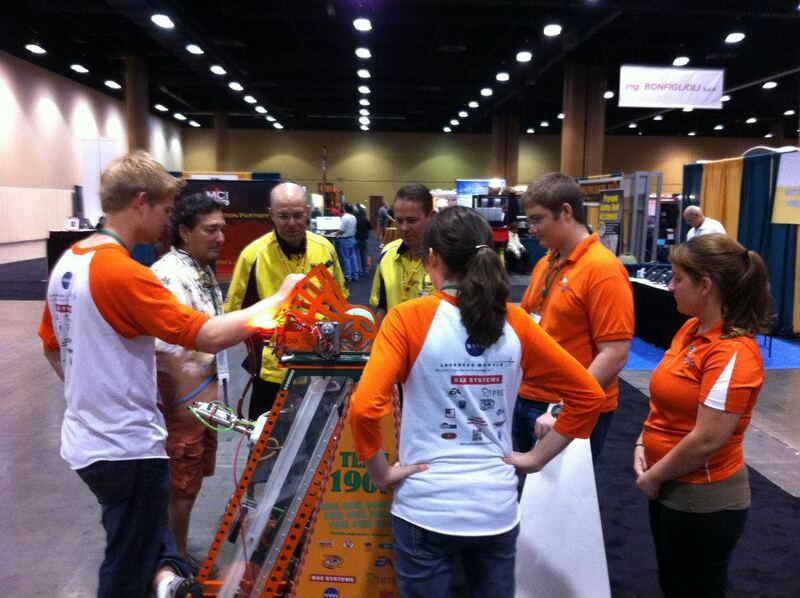 FIRST Robotics Competition 2013, By Nick Normal, Posted 2013/05/11 on the blog MakeZine.com. 1902’s 2013 robot in the slideshow and the video. Wow – What a great response the Pineloch kids had to today’s FIRST robotics demonstration. 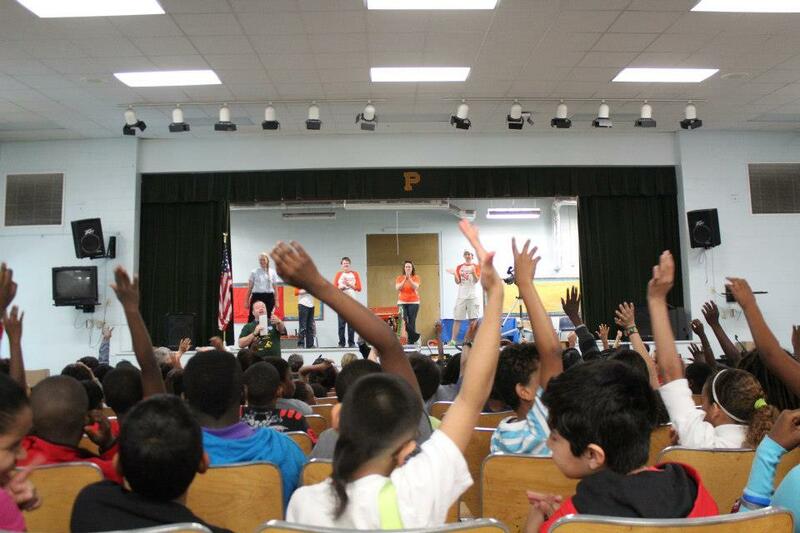 Practically every kid raised their hand interested to become a member of a future robotics team! Can you imagine the growth and development this inner city Pineloch school would gain if this became a reality. I left with a smile that just won’t stop. Giving these students fun hands on challenges where they can apply their book lessons could open so many doors and give hope for these kids. Each one of them has an amazing story to share. Opportunities, like FIRST robotics, given by inspiring community teachers, mentors and partners, can lead them to profound and amazing chapters in their lives. It’s going to take a lot of volunteer coordination and some stimulus to get this growing, but the accomplishing results could be a grand payback for this area. I commend the Pineloch staff, St. Luke’s IMPACT partners and Orange County Schools for supporting this venture. FIRST is a great investment into these children’s future. Good job to the Pineloch robotics team who showed such intuitive solutions for their Senior challenge. How exciting for them to show their computer robotics abilities to their schoolmates. They had fun programs and they even had team buttons – that floored me because it shows how much they have taken FIRST to heart. Your students enthusiasm really made everyone grin. If only we could bottle that entertainment value to show potential sponsors, coaches and volunteers the potential and abilities these kids have for learning robotics and sharing their love for it. Thank you John, Jim and everyone involved for your dedication, hard work and organization. You made it happen. 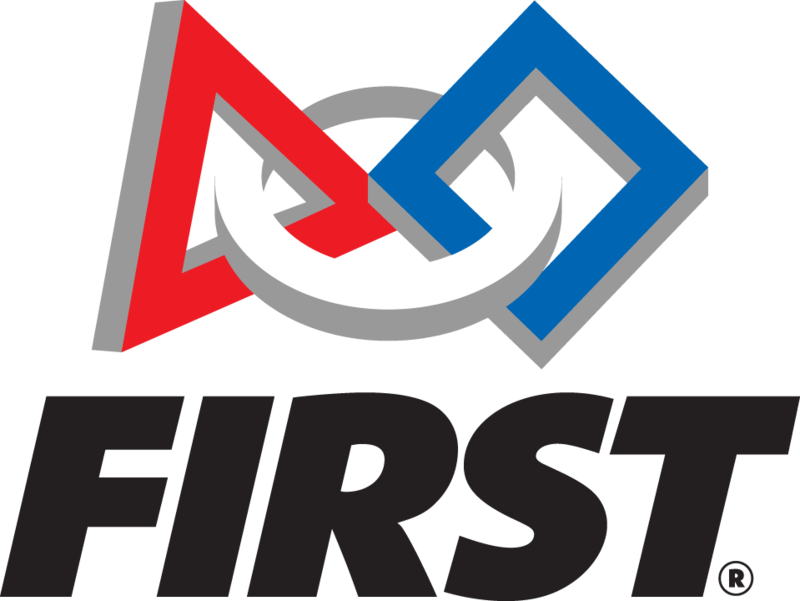 This was a wonderful showcase of achievements and the benefits FIRST robotics can bring to all students willing to engage their time and energy into an educational team sport of the mind. Great job with your first FLL team. Obviously the seed has been planted and we can’t wait to see what the next season brings. Joyce and Team Exploding Bacon, all I can say is “You Rock”! Thank you for your community outreach today as you shared your love of FIRST with Pineloch’s students and faculty. The video, presentation, robotic demo and Q&A with the kids was a fun loving eye opener. There was so much interest, we could have taken many more questions had time allowed us. The depth of your team’s ability never fails to amaze me and I commend you for all your accomplishments on the competition field, but more importantly, those off. It’s the hard work, planning and commitment behind the scenes that makes your presentation, awards and competitions flow so abundantly. Keep up the impressive work and thank you for all that you have done inspiring and supporting this Pineloch team and those upcoming. I’m just glad I could be a part of today’s robotics demonstration celebration. It was my first visit to Pineloch and everyone was so friendly and welcoming. Please let me know if more marketing information is needed to get more partners and supporters on board. (I’ve already started networking on your behalf with some contacts.) I also welcome everyone involved to attend the FRC Orlando FIRST Robotics Regional which is held annually at UCF in March. I’m your key contact to set up free guided tours for student groups and interested parties to see the behind the scenes team pit workshops and view the competition. So mark your calendars for December or January 2014 to email me and coordinate your groups tour. Believe me the “WOW” factor at this “Varsity” level robotics regional is huge. The robots are incredible, but even more remarkable is seeing these motivated youth who now possess great knowledge, strong values, talented skills and leadership beyond their years. They are the hope of our future. I do hope each of you can join us for next year’s Orlando FIRST Regional, and don’t forget to invite some friends! Thanks to each of you for your passion to ignite young minds to reach their full potential. Your continued positive contributions and belief in them, gives these kids valuable life skills, opens future opportunities and leads this generation to become the successful contributors of tomorrow. Today many children were encouraged, thanks to you! I just wanted to express my gratitude for all the great outreach Exploding Bacon provided over the three days of the SLAS conference. As always, your students are great! It’s always a pleasure to work with team 1902. Thank you so much for sending 3 of your teammates and your award-winning robot to the Automotive Recyclers Association’s Annual Convention & Expo in October. ARA’s partnership with the FIRST Robotics Program is an important priority for our association, and it was so valuable for our members to have the opportunity to meet a local FIRST Robotics team and interact with them in person. I cannot tell you how many compliments I received about the robot and especially the students – how articulate, bright, and personable the kids were. The Exploding Bacon team was a wonderful addition to our convention and a highlight not only for our association members, but vendors attending the expo and staff as well! We appreciate you taking the time to travel and spend the afternoon promoting the FIRST program. We look forward to many more years of partnership with FIRST Robotics teams.